I never understood when I was younger my Dad loved steelhead fishing so much. He used to talk about all the times him and his friends would run up to Pulaski, New York and catch all these steelhead. I used to think to myself “What is a steelhead? 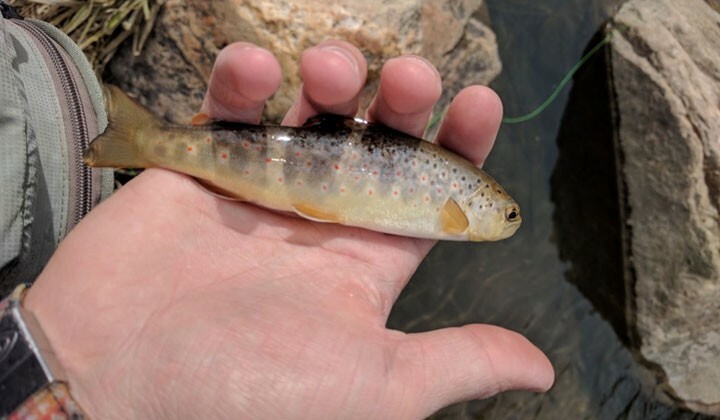 That sounds kinda scary.” I learned eventually they were just big trout yet they looking nothing like the rainbows, brown trout, or brookies I’d catch at home. No instead the fish he showed me in pictures were a beautiful bright silver. Chrome per say. The color fascinated me and I thought man I’d love to catch something that looks like that one day. Little did I know somewhere far down the line I’d get the answer to my question. I went to college in Syracuse and didn’t go steelhead fishing for the first time until my Junior year. Why it took me so long I don’t know, but better late than never! I didn’t have any fly gear at the time for steelhead fishing so I borrowed some of my Dad’s old spinning gear and made my way to the infamous Pulaski. That year I was able to get a taste of steelhead fishing drowning egg sacs underneath bobbers trying to figure these fish out. 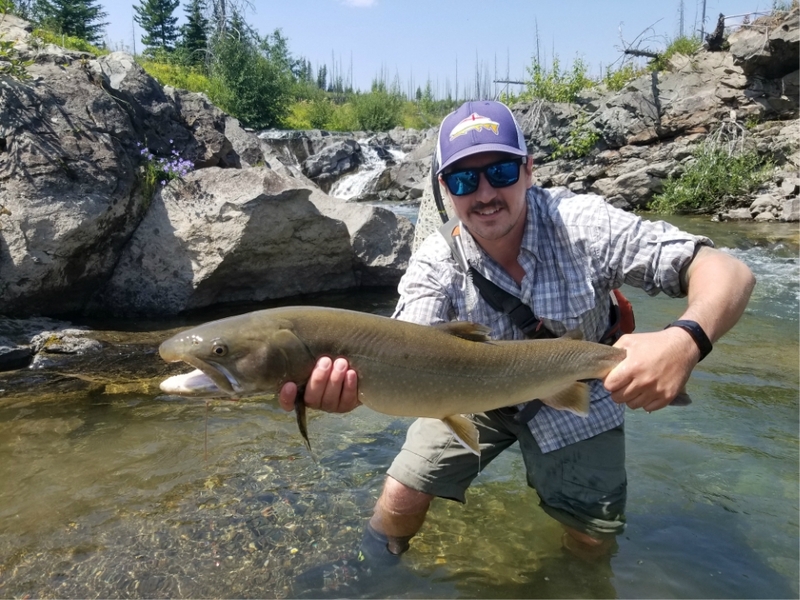 I connected with a few on the spinning rod and instantly fell in love with the aggressive nature of these fish. I grew up trout fishing in New Jersey which has great trout fishing to offer, but big angry trout like steelhead just took that love to a new level. That season ended and I decided that next year I’m going to try and wrestle a steelhead on a fly rod. Just what I needed an obsession with another species of fish. Me being the genius I am I decided to listen to myself and of course grab a 9’ 8wt and a Lamson Liquid to start. I figured it could also double as a good largemouth and pike rod so of course now I had to buy one. The first time I hooked up with a steelhead on the fly rod is something I’ll never forget. It was a small buck no more than 4lbs, but he sure didn’t fight like he was that small. I was attempting to tight line nymph (I really dislike nymphing sorry not sorry guys) a small beadhead stonefly I’d tied some time that week. It was just a simple size 10 Pat’s Rubber Legs that was black with a copper beadhead. I was fishing a nice slow seam behind a rock that looked uber fishy. After about 10 drifts or so my line stops on what I believe is just another rock. I go to pop the hook off the rock and suddenly I just feel that headshake and knew it was game on. The fish didn’t go wild, but for my first one it was just right. I’d done it! That was the beginning of the end. Since catching that fish I’ve spent a few seasons trying to catch as many as I can. It’s brought me from the small creeks that trickle out of Ontario in Buffalo to the wet and wild rivers of Coastal Oregon. It’s amazing some of the places steelhead fishing has taken in and I haven’t even begun to break the ice. I can’t talk enough about how fishing has evolved from making sure I catch every fish in the river to taking in as much of the place I’m in as I can. There’s a lot of things I’ve missed besides fish because I didn’t take the time to look around and soak it all in. The next time you’re on the river take ten minutes to just sit down and observe. Who knows you may catch something greater than a fish. 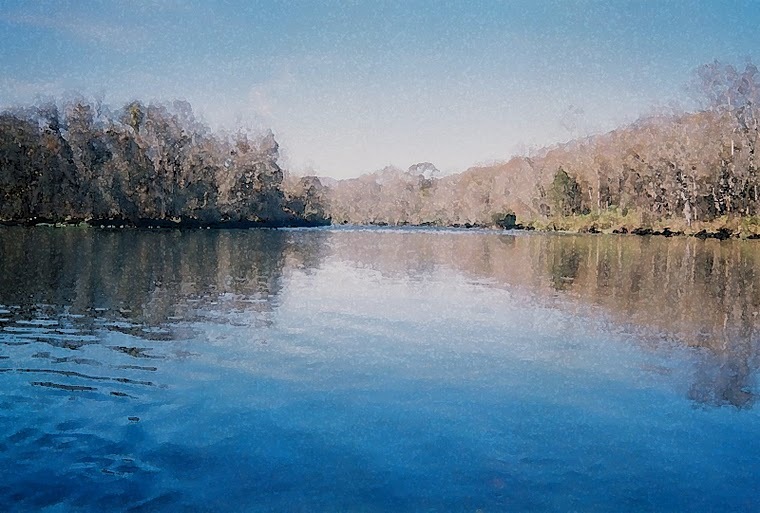 Steelhead are a mystical fish that exist in these mystical places if you ask me. I’ve never fished rivers like the Bulkey, Skagit, or Deschutes, but these rivers hold such a gnarly reputation for legendary fish. What other places and fish in the world produce stories with such lore? For those of you that have fished then you know what it’s like and hopefully you got to see firsthand if some of these stories are true. You hear stories of Giant Trevally in South Africa, Tarpon in The Keys, and Muskies in Lake of the Woods, but while legendary in their own right they still aren’t as mystical as the giant silver bullets that inhabit swollen rivers in ancient rainforests. I don’t know if that’s why I’ve become obsessed with these fish, but I’m sure it has a lot to do with it. 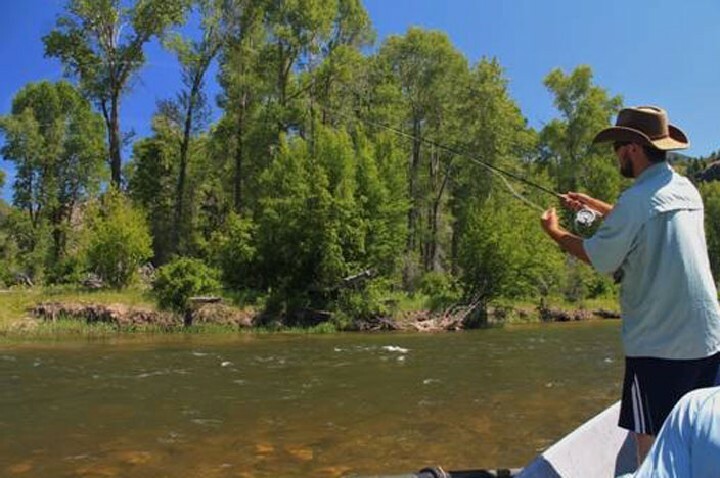 You’re not just going somewhere to catch a fish, you’re chasing myths and lore. The conditions of steelhead fishing aren’t exactly for the faint of heart. I just recently traveled Pulaski and got blessed with less then ideal conditions. The wind was blowing twenty, it was a high of 25, and we even got gifted with a thick snow squall. The fish were just about as grumpy and cold as I was that day. The Northeast is notorious for its bitterly cold winter while the Pacific Northwest is infamous for its nonstop rain and swollen rivers. Neither of these conditions are ideal to most fisherman, but that’s fine if you ask me. The weather you have to endure to catch these makes it all the more gratifying when you do put on in your hands. Your feet are frozen, your cold to the bone, and you’re out of hot coffee so why is God’s name are you out there? Shortly after your reel starts to scream and it all just fades away for a while. Ahh yes, this is why I’m here. Sometimes it’s just down right insane what kind of weather you’ll put yourself through all for a fish. To me the weather almost makes it more of a challenge. Don’t get me wrong I love fishing beautiful sunny warm days throwing top water flies for Bass, but anyone can do that. Steelhead fishing when it’s so cold the eyes on your fly rod are freezing isn’t for everyone. Why punish yourself with such conditions? I don’t know because the easy way isn’t always the fun way I guess. I haven’t even begun to dabble into steelhead fishing like I want to so everything I wrote here is from my small experience. There’s people out there with 50 years more experience than me that could tell you much more about these fish then me. I can only imagine how much they love chasing these fish after having done it for that long. It’s only been a few years for me and I’m already head over heels for them. I’ve got switch rods, multiple lines, and multiple books just after a few years of trying to wrangle them. Part of me is terrified to see what my steelhead collection will look like in twenty years. I can’t wait to see where it takes me. I’ve been lucky enough to fish legendary Rogue and it’s only just the beginning of my steelhead career. I hope one day to see the Bulkley, Hoh, and North Umpqua for these wild fish. Maybe I’ll get to all of them one day and see for myself if the stories and myths are as true as I hope they are. Besides it just gives me another excuse to go travel across the country and get myself lost somewhere out in the wild while the wild still exists. Steelhead will forever have my heart and maybe one day I’ll have my own legend to add to the long list.